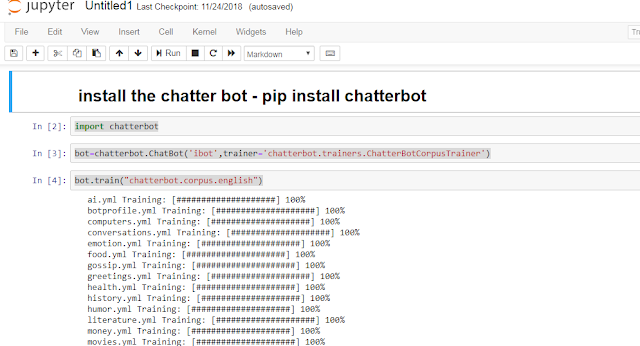 First you need to do install the chatterbot using the pip install. 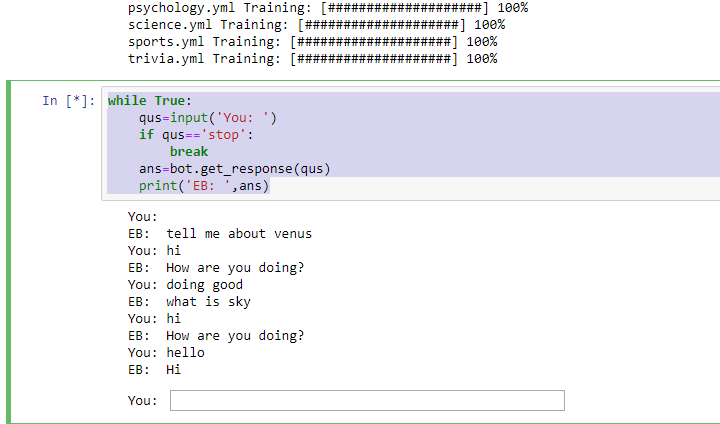 Open any of the IDE for writing the python code. I am using the Jupiter here. 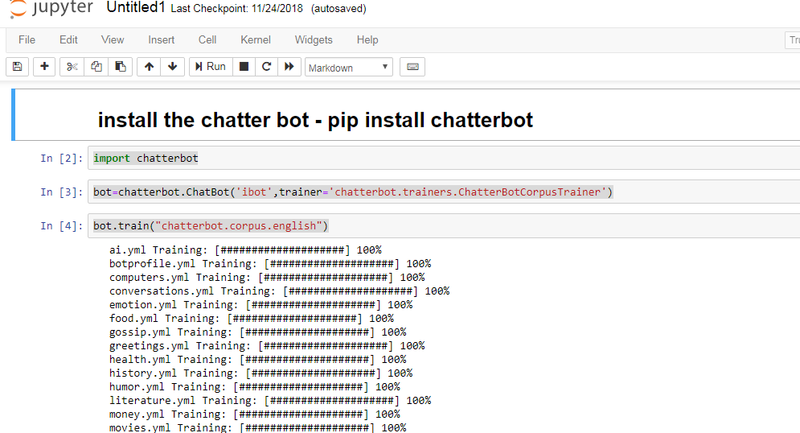 Just create the Bot name and defined the type of trainer for your bot. 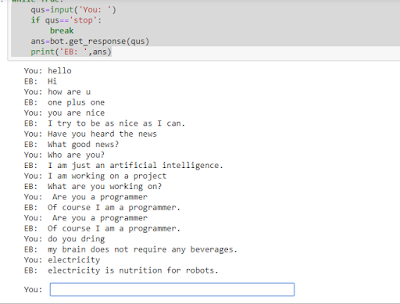 Now just train your bot with some of the training data there are inbuilt data provided for corpus English you can you to train your bot with basic data like below. Once the training will start it will look like below. 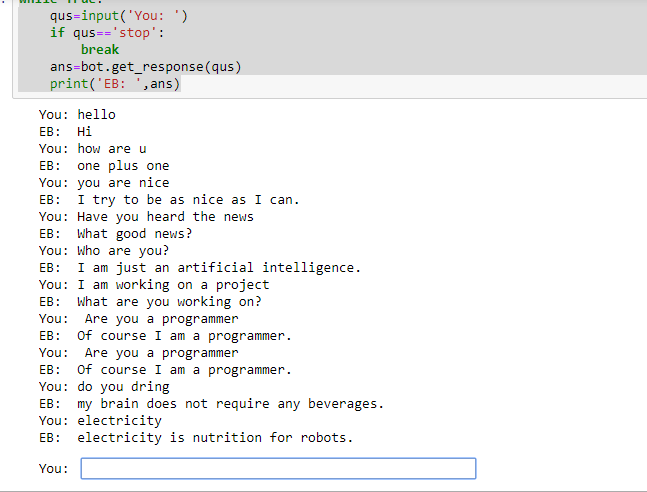 Once data has train use the below like of code for recursively run the bot request and response way . One you execute your above line of code it will go to the infinite loop till you type “Stop” or nany code error and your bot will look like below.